Posted on June 26, 2018 at 10:32 pm. In recent years, roughhousing, or rough-and-tumble play has fallen out of favour. Rough-and-tumble play is when children climb over each other, wrestle, roll around and even pretend to fight. Often termed play-fighting it differentiates itself from real fighting, even if it looks aggressive, as there are visible displays of fun, smiling and laughing. I used to play wrestle with my brother all the time in my youth, it was so much fun! Its reduction over time as a kid’s pastime has been blamed for everything from increasing levels of ADHD (attention deficit hyperactivity disorder)  to higher incidents of accidents during school playtime (recess). This is a trend that by attempting to reduce risk in daily activities outlaws many types of adventurous play; for example, according to Dame Fiona Reynolds, master of Emmanuel College at Cambridge University, children are three times more likely to end up in the hospital now because they have fallen out of bed rather than out of a tree. A wave of books and medical research papers are helping to publicize the physical, mental, emotional and social benefits of roughhousing. One book on this subject is The Art of Roughhousing by Anthony T. DeBenedet, MD and Lawrence Cohen PhD. In it, the authors describe at least six different benefits of rough-and-tumble play for kids. First and most obviously, there is the physical aspect of roughhousing. These days, just about everyone knows that kids should be getting at least 30 minutes of physical activity each day, although government recommendations tell us it should be far more activity for kids. A little rough-and-tumble play is one easy way to accomplish more movement minutes in our day. What better way to blow off a little extra energy than by chasing someone around the house or having a fake wrestling match in the middle of the living room. Even better, of course, why not take it outdoors? Some researchers have also indicated that rough and tumble play builds moral and ethical character. Work by Stuart Brown demonstrates that kids with few opportunity for play are more likely to become anti-social and exhibit criminal behaviour when older. This is where adults can play a huge role, since they can teach kids about safety, about looking after those who are weaker, and about using one’s strength in ethical ways. From an evolutionary perspective, it appears that roughhousing might have been an early way for members of a particular tribe to build bonds with each other and establish their overall likeability. Perhaps the real overlooked benefit of rough-and-tumble play, though, concerns the mental and cognitive benefits. Marc Bekoff and Jessica Pierce, the authors of “Wild Justice”, have suggested that the unpredictable nature of roughhousing increases the number of connections between neurons in the cerebral cortex. This leads to improved cognitive performance, similar to the effects of dancing. Moreover, some neuroscientists have suggested that rough-and-tumble play increases the brain’s level of a chemical called brain-derived neurotrophic factor (BDNF). This mysterious-sounding chemical is responsible for memory, logic and advanced cognitive skills, so the more, the better. Of course, there are obvious benefits for adults who engage in roughhousing with their kids. Primal Play also encourages this in adult-to-adult games of movement too, why should kids have all the fun? Many adults lead mostly sedentary lives (i.e. sitting all day at the office and then all evening on the couch), so roughhousing encourages them to increase their activity level in a way that lets off some steam. Also, all of that physical activity can also help to reduce stress and anxiety. There’s nothing quite like shrieks of laughter from your kids to make other financial or social difficulties melt into the background. Try playing the Primal Play game Shoulder Barge with a friend and have some fun! As long as roughhousing follows basic safety rules and doesn’t take place too close to bedtime (when the body should be winding down), it can have significant benefits for both kids and adults. The good news is that the pendulum might finally be shifting back in favor of roughhousing and rough-and-tumble behavior. Darryl Edwards, is a Movement Coach, Natural Lifestyle Educator, nutritionist and creator of the Primal Play Method™. Darryl developed the Primal Play methodology to inspire others to make activity fun while getting healthier, fitter and stronger in the process. Darryl is the owner of Fitness Explorer Training and author of several books including Paleo Fitness and Paleo from A to Z. His work has been published in titles such as Men’s Health, Women’s Health, Elle Magazine, Men’s Fitness and featured on the BBC documentaries Eat to Live Forever and Doctor In The House. His latest book, Animal Moves, is available now! Panksepp J., “Affective neuroscience: The foundations of human and animal emotions.” New York: Oxford University Press; 1998a. Panksepp J., “Attention deficit hyperactivity disorders, psychostimulants and intolerance of childhood playfulness: A tragedy in the making?” Current Directions in Psychological Science. 1998b;7:91–98. Panksepp J., “The long-term psychobiological consequences of infant emotions: Prescriptions for the twenty-first century.”, Infant Mental Health Journal. 2001;22:132–173. Jaak Panksepp et al., “A novel NMDA receptor glycine-site partial agonist, GLYX-13, has therapeutic potential for the treatment of autism,” Neuroscience & Biobehavioral Reviews, https://doi.org/10.1016/j.neubiorev.2011.06.006. Posted on June 14, 2018 at 11:51 am. Paleo Magazine, one of our 2018 Conference on the Value of Play sponsors, wants our readers to know that Paleo is more than just a diet! In fact, they believe there are three equally important components that make up the Paleo lifestyle as shown in this graphic. Do you see what is on the exercise list?! PLAY! Read on to learn what Paleo Magazine says about PLAY! Many of today’s health problems exist because our daily physical-activity patterns are completely different from those we were designed to perform. Americans spend over 90 percent of their time indoors (this includes enclosed buildings and vehicles). As a result, we are exposed to more pollutants than ever before, and many of us are lacking much-needed vitamin D.
We know it’s vital for our health to spend time outside, but once outdoors it is even more beneficial for us to play—to move. Playing outside and embracing our inner child has been shown to do wonders for our mental, physical, and spiritual health. Think of playing outside as movement paired with fun. Play is different from exercising or working out, activities where the goal is to achieve specific fitness benchmarks. You can enjoy outdoor play with friends and family, adults and children, and of course pets. Playing includes activities like hide-and-seek, tag, Frisbee, catch, racing, tag, dancing, bicycling, and any type of movement that makes you laugh and feel like a kid again. The natural environments of our ancestors enabled a variety of outdoor physical activities—our ancestors led a very active lifestyle without the constraints we face today. Thankfully, we can optimize gene expression and establish the health that was enjoyed by hunter-gathers by engaging in daily physical activity. Physical activity can help you sleep better, feel happier, and reduce stress, among many other benefits. So don’t be ashamed of heading outside to engage in activities you loved as a child with family and friends—the research has your back! Help clear up acne, psoriasis, eczema, and jaundice. Reduce the need for pain medication in patients who have undergone surgery. Help older adults sleep better and experience less pain and less functional decline with respect to daily activities. 150 minutes of playtime per week (about 20 minutes a day) can improve adults’ sleep performance by 65 percent. Playing outside can help improve the quality of our sleep. Spending time outdoors in natural light shifts the cycle of our sleep hormones, which helps us to go to sleep and wake up earlier, and feel less groggy upon waking up. Having had once been children, we know that playing outside is fun. And the evidence has taught us that the combination of social and physical activity can bolster our mental health and sense of self. Spontaneous play, which encourages much-needed face-to-face socialization, provides us with happy moments and wonderful memories. Playing outdoors allows us to engage in social activities that have been shown to reduce depressive symptoms. Play leads to laughter, which offers its own health benefits—laughter relaxes your muscles, reduces pain and stress, improves circulation, and enhances your immune system. Walking outside is linked to improved focus and creativity. Playtime allows children and adults to explore new ideas and express their imaginations. ADHD has been referred to by experts as a “nature-deficit disorder,” whose onset might be linked to us spending less time outdoors. Research has shown that children are more focused on their schoolwork after recess. Think like a kid. Let your inner child be your guide. Take your children outside and follow them around. Do what they do. Let them inspire you. Go for a hike, and feel free to venture from the beaten path from time to time. 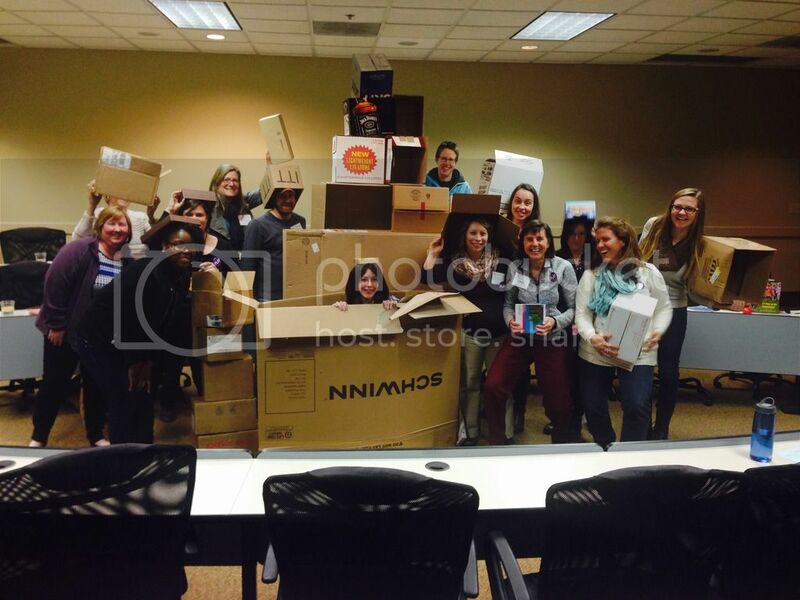 Organize a group sport, like soccer, frisbee golf, or touch football. Race, but don’t concern yourself so much with winning. In the winter, go sledding, and when you get to the bottom, walk back up the hill. Play fetch with your pets. Try something new that you’ve always wanted to do. Earth carries a huge negative charge, which can provide us with an excellent supply of electrons that are antioxidant-rich and have the ability to destroy free radicals (too many free radicals causes oxidative stress in our body and leads to disease). You actually absorb large amounts of negative electrons through the soles of your feet when your bare feet are on the ground—that is, dirt or grass, not concrete or asphalt. Helps repair effects of radiation from cell phones, computers, etc. At some point in your fitness journey you may decide you want to add more complex movements to your daily routine. Play—with its hormonal benefits and emphasis on connecting with nature and other people—will of course continue being an important component for achieving physical and mental well-being. Play after all is the most basic, and only truly, necessary form of regular physical activity for overall wellness. Lifting weights, sprinting, engaging in high-intensity interval workouts—these are all effective ways to take your physical fitness to the next level. Though for some the jump can seem intimidating. So start slowly. And no matter what other physical exercise you decide to incorporate into your Paleo lifestyle, DON’T EVER STOP PLAYING. Posted on November 18, 2015 at 2:14 pm. Often times our days are filled with busy calendars. Our routines and commitments keep us so busy that we forget what is actually important. Play is often overlooked and replaced by other “productive” habits which are usually outcome driven. Whatever that form of play looks like is totally up to you! You could incorporate any form of play you want ONCE you have made a habit of allowing time for it to happen each day. I know that in my own life I have to be very intentional about including play into my daily routine. For me, working out is a form of active play! I literally think of the gym as a giant playground. If you were to see me in a gym working out you would totally see that I am clearly playing and enjoying the process more than the outcome. I have also made a conscious effort to set aside 15-20 min per day just for unstructured play time. That could be for walking in the park, writing poetry (creative play) or singing when I am cooking a nice meal.. Some days I find it challenging to include play into my schedule but once I know I have that 15-20 min I choose to make the most of it! The important thing to remember from this blog is that you are totally in control of including play in your daily routines, and you are fully capable of including play in your lifelong habits. It is up to you. I choose to enjoy and enriching life filled with play each day. Will you choose playful habits? The VERY FIRST to register for The Play Conference 2016 is…! Posted on July 28, 2015 at 8:56 pm. Join Sarah and hundreds of other play advocates at The Play Conference 2016: Rebooting Play. Early bird registration is now open! Posted on April 20, 2015 at 9:02 pm. Mark your calendars because you will NOT want to miss this!! After five years, the Conference on the Value of Play is getting a reboot! 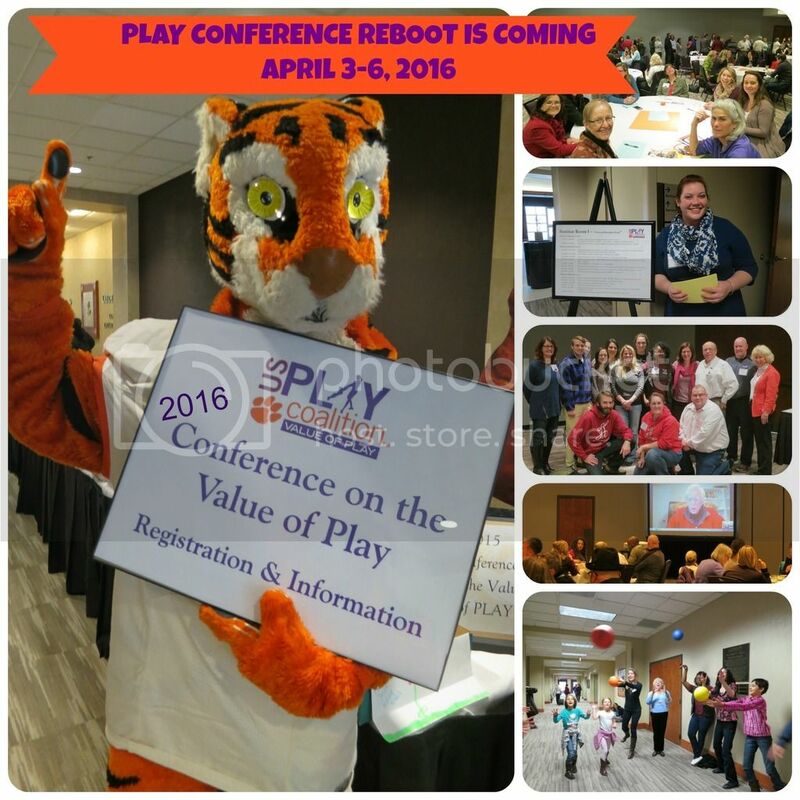 Starting with a change in dates – because April showers are way more fun than power outages and sleet – there are BIG PLANS for the 6th Annual Play Conference. Keep your eyes peeled and your ears perked because spring has sprung – and so have we! More details to come!